All day classes include breakfast. Description: The Autodesk 3ds Max Essentials Course is designed to teach you the fundamentals of working in 3D using Autodesk 3ds Max. The class is dedicated to animation, modeling, materials, lighting, and rendering. Flexibility is built in, so that you can complete the tutorials in the order that works best for you. Designed by Autodesk 3ds Max specialists and professionals, the material in this class will teach you the basic skills you need for a production environment. These hands on lessons introduce you to new functional areas of 3ds Max and explain these features with short simple examples. This class shows you practical applications of the theory learned in a particular chapter. This class also gives you a sound understanding of the functions, features, and principles behind 3ds Max, and shows you how to apply this knowledge to real-world situations. Pre-Requisites: No previous computer-aided design (CAD) experience is necessary. However, drafting, design, or engineering experience is a plus. It is recommended that you have a working knowledge of Microsoft Windows. Pre-Requisites: Space management students should have a working knowledge of AutoCAD or at the minimum passed successfully our AutoCAD Level I course. Building Operations (CMMS) focused students need to know Excel and any database exposure is a plus. Intended for individuals with little or no AutoCAD experience, this course will take students through the most essential concepts in a streamlined, step-by-step manner with the goal of quickly enabling them to create meaningful output. Introduction to the AutoCAD Environment, Data Input, Basic Object Drawing, Editing & Modifying Commands, Using Precision & Accuracy Tools, Creating & Using Layers, Entering & Editing Text, Creating & Modifying Fills & Cross-Hatching, Importing Blocks, Creating Arrays, Creating and Editing Dimensions, and Basic Plotting. This is a hands-on course where students will complete a wide range of exercises that help develop skills using real world scenarios. Intended for the intermediate user, who is able to create basic drawings, but needs to learn AutoCAD’s advanced features as required for on-the-job use, or simply wants to round out his/her knowledge of this essential design software. Drawing objects, Manipulating Objects and Data, Template Drawing Creation, Dimensioning and Annotation, Reusable Content, Blocks and Attributes, Dynamic Blocks, Layer Management and Best Practices, Layouts and Views, Plotting, Introduction to Sheet Sets, and Working with Tables. Students will produce an advanced design and multiple 2D drawings, that will dramatically illustrate how these advanced feature are currently being used on a daily basis in the design industry. Pre-Requisites: Completion of Level I or basic knowledge of AutoCAD. It is recommended that you have a working knowledge of Microsoft Windows. This hands-on course covers the fundamental tools necessary for making the transition from the 2D tools to the more advanced 3D functionality of AutoCAD and explores the main features of AutoCAD’s advanced 3D modeling workspace. Intended for the experienced AutoCAD user who is moving to the latest release of AutoCAD software. Description: This course includes practical hands-on exercises to give participants experience in using and understanding the features and functionality of the new product interface and the changes that they will experience when moving from a previous AutoCAD to a new version. The objective of this course is to boost productivity by teaching the student how to transition through AutoCAD versions and work productively using the latest features and functionality of the most current AutoCAD release. Pre-Requisites: The student should be an experienced AutoCAD user and/or have completed the AutoCAD Level 1 course. Intended for the user who wants to learn the functionality offered in the object-based AutoCAD Architectural software. Setting Up a New Project, AutoCAD Architecture Functionality, The Recent Input Menu, Dynamic Input, Editing Objects in Isolated Views, In-Place Editing to Modify a Curtain Wall, Creating and Using Project Standards, Using Display Themes, AEC Materials and Usable Boundaries on a Space Object., Creating a Schedule Tag Using the Schedule Tag Wizard, Creating a Tool Catalog Using the Tool Catalog Generator, Editing a Keynote Database Using the Keynote Editor. This course uses hands-on exercises to leverage the student’s prior AutoCAD experience to master the AutoCAD Architecture functionality. Pre-Requisites: Basic knowledge and experience with AutoCAD is necessary. Description: This class introduces the model-based design technology in AutoCAD® Civil 3D®, and provides the core for its application in civil engineering and survey projects of any type. The class examines the Civil 3D interface and environment, the management of settings and styles, and the development of civil project data, both from information developed within Civil 3D and from interaction with other products.The Civil 3D Essentials class moves from an examination of the Civil 3D interface and concepts through the start of a typical survey and design project. Consideration is given to the best way to organize drawings and data for Civil 3D and to the organization and creation of a Project through the Civil 3D program. The class then proceeds through Existing Conditions Surface Modeling, the processing and display of Point Data, the layout, creation and editing of Alignments, and the creation of Parcels for ROW, lot and open space areas within the project. Description: This class introduces the model-based design technology in AutoCAD® Civil 3D®, and provides an introduction to its survey functionality. The class examines the Civil 3D interface and environment, the management of settings and styles, and how surveyors manage data obtained in the field. The Civil 3D Essentials for Surveyors’ class moves from an examination of the Civil 3D interface and concepts through the start of a typical survey and design project. Consideration is given to the best way to organize drawings and data for Civil 3D and to the organization and creation of a Project through the Civil 3D program. Participants receive an in-depth examination of the Civil 3D Survey project and its database and how the survey portion of Civil 3D brings data security and multi-drawing point access to Civil 3D. Topics addressed in this class are appropriate for surveyors engaged in most survey applications, such as topographic, mapping, ALTA, boundary, stakeout and engineering support. Civil 3D has powerful tools applicable across a wide range of survey applications, and this course brings real project application experience to the training and effective use of Civil 3D for surveyors. Intended for users with little or no CAD knowledge who require comprehensive training in AutoCAD Mechanical. It incorporates the features, commands, and techniques for creating and editing mechanical designs with AutoCAD Mechanical. Standards for Creating Mechanical Drawings, Tools for Design Productivity, Dimensions and Annotation, Production Drawing, Standard Content Available in AutoCAD Mechanical, Components You Can Create with Machinery Generators, Calculation Tools, AutoCAD Mechanical Views Created From Autodesk Inventor Series Model, Mechanical Structure Tools. Hands-on exercises throughout the course enable students to practice creating mechanical engineering production drawings. Intended for users who want to learn how to implement a mechanical HVAC system using AutoCAD MEP. Description: Determining Energy Requirements for Engineering Spaces, Creating and Annotating Schematic Diagrams, Creating an HVAC System with Single Line Ducts, Adding Ductwork, Adding Fittings, Sizing Ductwork Systems, Creating Construction Documents.This courseware uses hands-on exercises to teach students how to determine energy requirements, add HVAC equipment, ductwork, and fittings, and create construction documents using AutoCAD MEP. Intended for users with little or no CAD knowledge, this hands-on class serves as a foundation by covering the basics of Autodesk Inventor. The primary objective is to introduce students to Autodesk Inventor by teaching them the skills necessary to build parts of moderate complexity, assemble parts in an assembly model, and document the models with 2D drawing views. Not every command or option is included since the intent is to present the most essential tools and concepts. Intended for students with little or no CAD knowledge interested in learning how to conduct 3D coordination, 4D planning, photorealistic visualization, dynamic simulation, and accurate analysis using Autodesk’s Navisworks Manage. Students begin by learning the interface and the most basic commands. In class, users create a project model by combining design and construction information from various file types. The Students will then manage, plan, visualize, simulate, and analyze that model which will assist in finding potential problems before construction. Intended for users with little or no CAD knowledge, Revit Architecture Fundamentals is a 3-day course that covers the basics from design through construction documentation. to create a project design and documents, learn the basics of using and customizing Revit components, and Review how to apply the tools and techniques of Autodesk Revit in your project design and documents. Intended for the intermediate user who has attended the Revit Architecture course or has equivalent experience, this course covers a wide range of advanced topics and continues to build on the concepts introduced in the Revit Architecture course. Importing and Exporting Files, Linking Files, Conceptual Design, Creating Advanced Components, Design and Analysis, Revit Architecture Worksharing, Working with Professionals, advanced Rendering. The primary objective of this course is to teach students the powerful tools and advanced techniques for creating complex designs and professional-looking models, creating conceptual designs, creating and customizing objects, and collaborating on designs with other team members using Revit Architecture. Pre-Requisites: Students should have completed the Revit Architecture course or have equivalent experience using Revit Architecture. Students use Revit MEP to learn about building information modeling and the tools for parametric MEP systems design and documentation. Students begin the course by learning the fundamental features of Revit MEP, and then progress through schematic design, system analysis, and construction documentation before finishing with design visualization. Building Information Modeling, Revit MEP Basics, Viewing the Mode, Starting a New Project, Defining Volumes, Heating and Cooling Load Calculations, HVAC Systems and more. The primary objective of this course is to teach students the concept of building information modeling and introduce the tools for parametric engineering design and documentation using Revit MEP. Intended for individuals with little or no Revit experience looking to incorporate Building Information Modeling (BIM) into their workflow by learning how to model electrical systems for real world applications using Revit MEP. Intended for individuals with little or no Revit experience looking to incorporate Building Information Modeling (BIM) into their workflow by learning how to model mechanical systems for real world applications using Revit MEP. In class students will create a BIM design that contains functional mechanical systems and create construction documents from that design. Intended for individuals with little or no Revit experience looking to incorporate Building Information Modeling (BIM) into their workflow by learning how to model plumbing and fire protection systems for real world applications using Revit MEP. The Revit MEP Interface and Basic Commands, Establishing Plumbing / FP / Piping Settings, Working Knowledge of Fittings and Lookup Tables, Creating Logical System Connections, Creating Physical System Connections, Identifying Riser Diagrams, Creating Zones by Using Color Fills, Using a Sprinkler and Design Schedule, and Creating a Fire Protection System Utilizing the Generate Layout Tool. In class students will create a BIM design that contains functional plumbing and fire protection systems and create construction documents from that design. Intended for users with little or no CAD knowledge, Revit Structure Fundamentals is a 3-day course that covers the basics from design through construction documentation. Students will be introduced to the tools and concepts of working with a fully parametric building modeler. Hands-on time is maximized to reinforce the subject matter. The primary objective of the course is to familiarize students with the concept and application of Revit Structure. In class you will use Revit to create a project design and documents, learn the basics of creating and customizing Revit components, and Review how to apply the tools and techniques of Autodesk Revit in your project design and documents. Intended for the experienced Revit user who is moving to the latest release of Revit software. Description: This course includes practical hands-on exercises to give participants experience in using and understanding the features and functionality of the new product interface and the changes that they will experience when moving from a previous Revit release to a new version. The objective of this course is to boost productivity by teaching the student how to transition through Revit versions and work productively using the latest features and functionality of the most current Revit release. 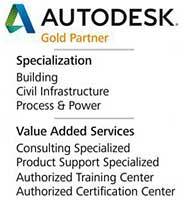 Pre-Requisites: The student should be an experienced Revit user and/or have completed the Revit Level 1 course.